Gemini manufacture a wide range of Sample Irradiators. There are many variables when Designing Sample Irradiators, samples, source isotopes, strengths, quantities, distances, collimation and so on. We specialise in designing systems tailor made to customers requirements. We are happy to work to clients own specifications, or we can provide advice in identifying the optimum solution to match your individual requirements. 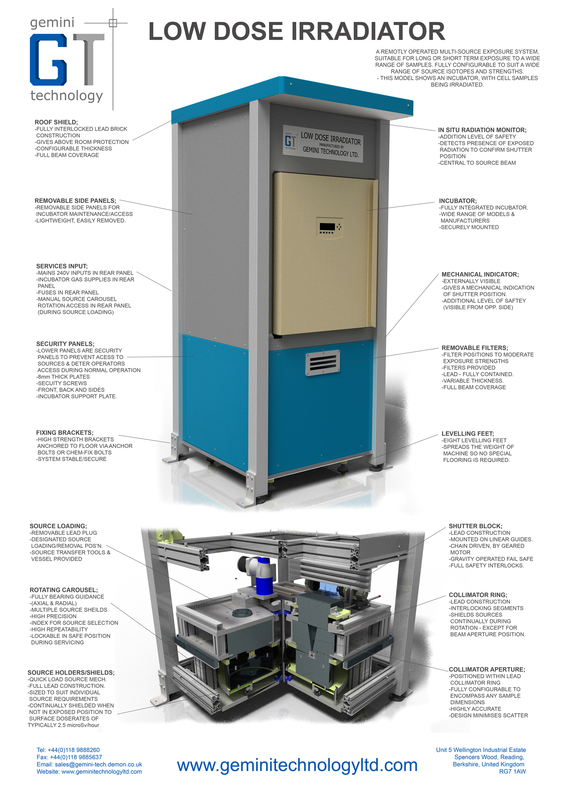 The system shown is a Sample Irradiator Gemini have recently commissioned which houses samples within an Incubator. The exposure unit is underneath the incubator exposing the samples from underneath. This is a great example of how flexible Gemini can be in providing a bespoke solution to clients requirements.  The control unit provides switching and control to enable manual and automatic operation of the facility (CAT. 3). The source can only be exposed when the access key from the castell door lock is in the control unit. Windows control software to allow automatic control of the facility. Control computer and monitor. For single source versions, a radioactive source is housed in a lead shielded pot when in safe position, and covered by a fail safe shutter block.  Lead storage pot with plug and hasp lock for storing radioactive source. Source handling tools are provided. The source exposure module is housed in a separate framework surrounded by the outer frame. To which is mounted the sample arrangement. - In the pictures to the right- an Incubator. The sources are exposed in an upwards direction into the samples in the incubator. 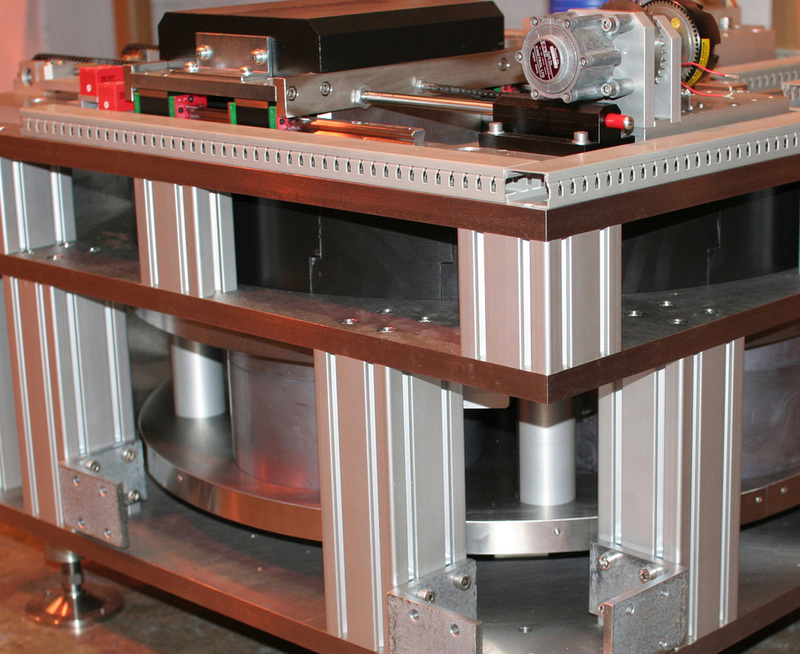 For multi source versions, a rotary carousel housing a number of sources, is selectable remotely via the control system. Exposed remotely by a shutter opening, which will returns via a fail safe method. The system incorporates a series of filters which can reduce the dose given out by the sources, and are easily configurable.